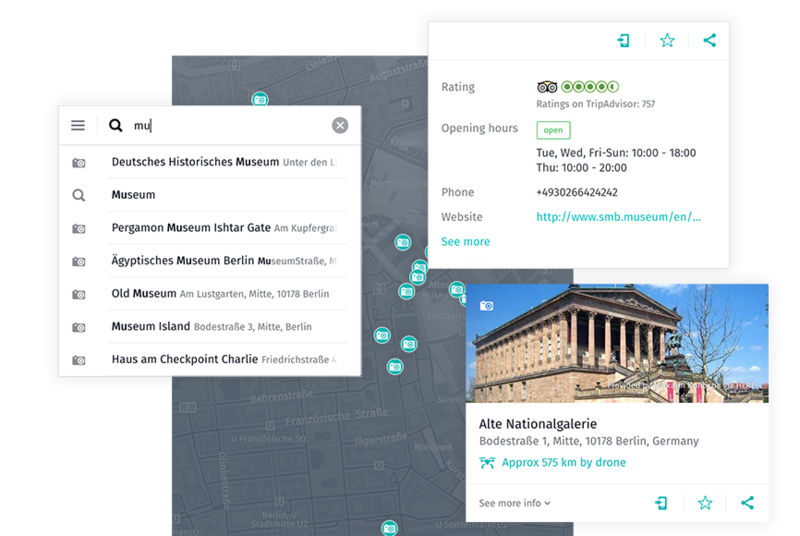 Add the power of HERE maps to your apps. 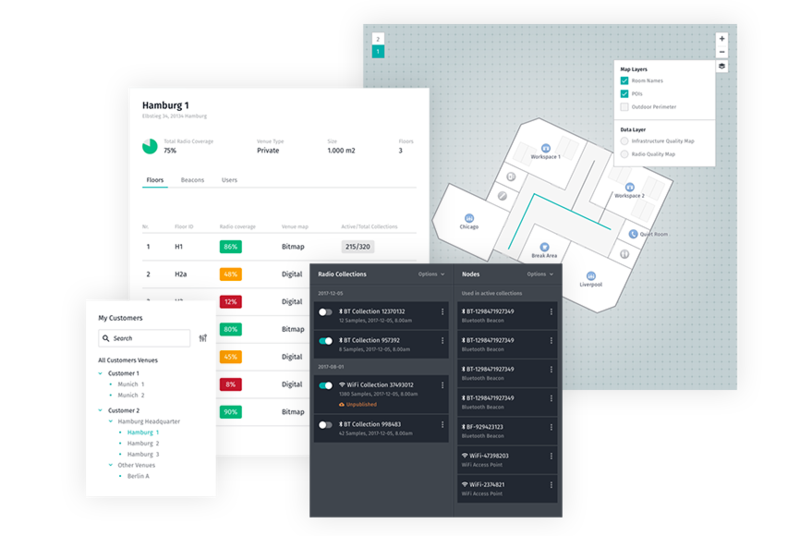 Start with the base map, choose a display type, add polygons, labels, venues and custom markers, delivered as static or interactive experiences. Turn geo-coordinates into addresses and vice-versa with forward, reverse, and batch geocoding capabilities. 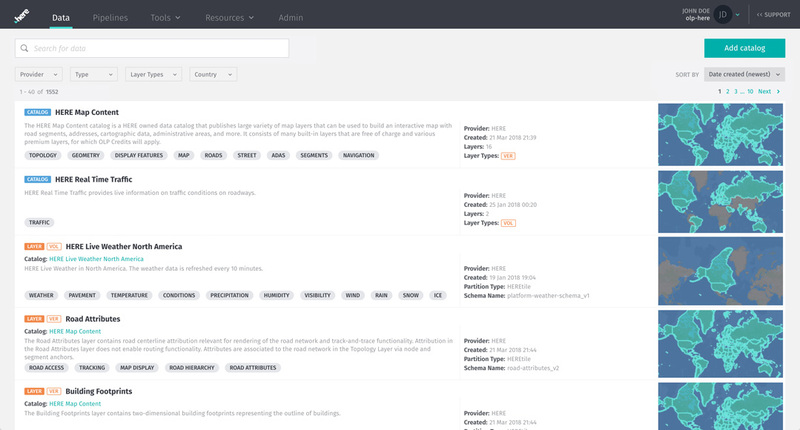 Search, discover, and interact with a vast global database of places (POIs). 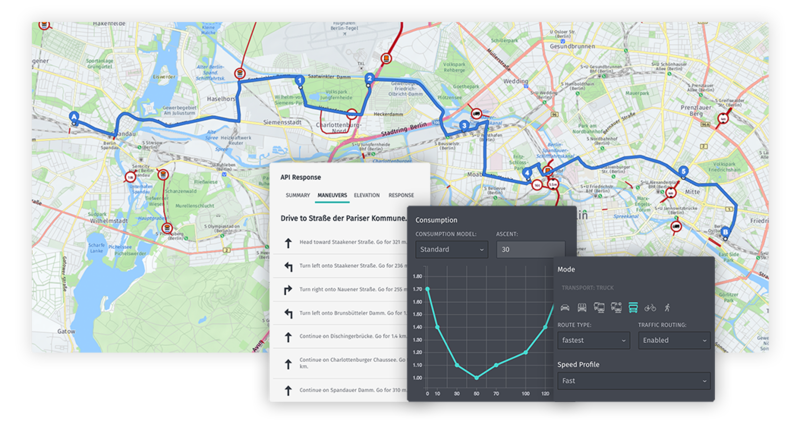 Walk, bike, car, transit, and truck routing and turn-by-turn navigation using real-time and historical traffic information. Solve complex logistics challenges with isoline and matrix routing. A cloud-based real-time location data management service to create web maps from your geospatial or open data. 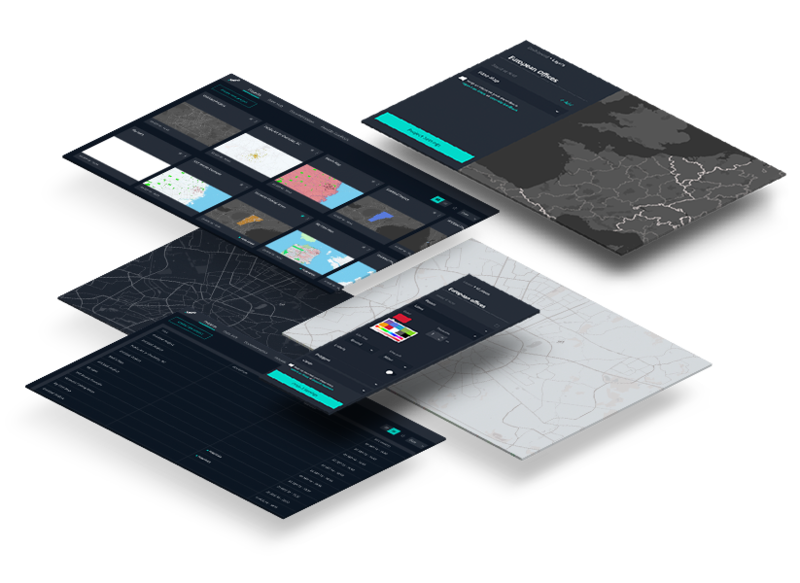 Store, edit and publish geospatial data leveraging convenient tools for any level of technical ability - from XYZ Studio to the HERE CLI or directly using XYZ Hub API. 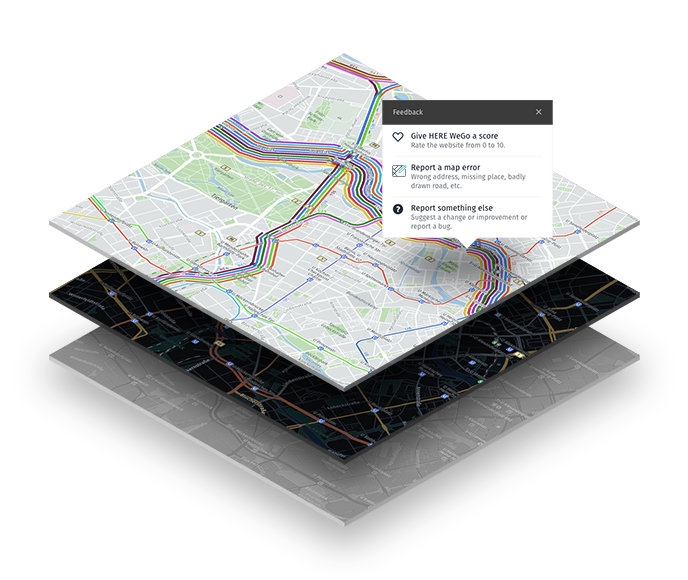 Solve complex location problems with advanced routing algorithms and out-of-the-boxes features like geofencing, matching GPS traces to a road network, changing geometries and restrictions for a particular road, and more. 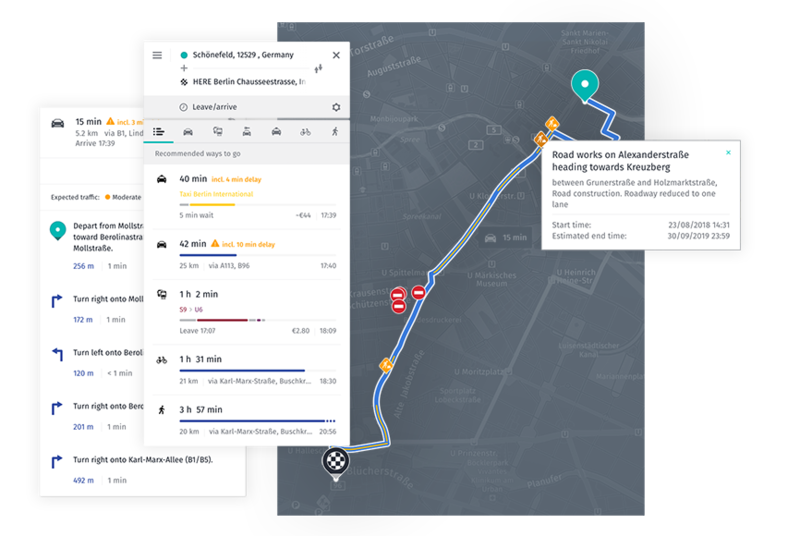 Build embedded and mobile navigation solutions with HERE Automotive SDKs and APIs. Bring cloud-based services together with connected navigation systems using REST APIs. Develop connected ADAS and autonomous driving technologies that offer high-definition, lane-level information for precise vehicle localization. HERE Advertising Data Services is a REST API that enriches geo-coordinates with a smart location context to enable audience segmentation, campaign attribution, content personalization and analytics use cases. 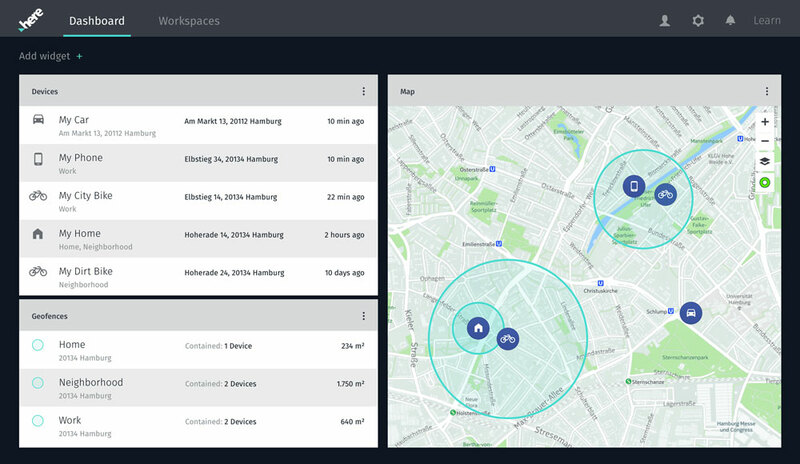 HERE Tracking is a reliable, hardware-agnostic, secure IoT location solution with global reach. With HERE Tracking, trackers and devices can seamlessly switch between indoors and outdoors. The technology uses Wi-Fi, BLE beacons and cellular signals and works in places that GPS can’t touch. 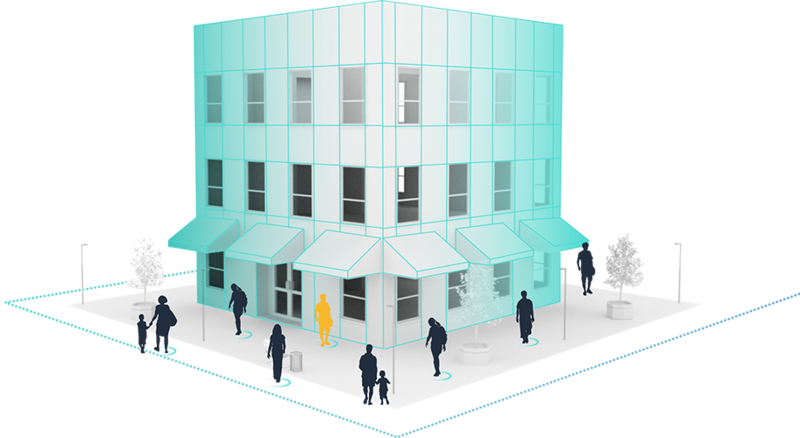 Fast and accurate positioning inside buildings utilizing Wi-Fi access points and BLE beacons. Can also determine which floor you are on for a full 3D experience. HERE Indoor Positioning simplifies journeys by providing seamless outdoor to indoor experience. Our FAQ is a good place to start. Contact our sales team for questions on licensing HERE APIs and SDKs. For technical support check StackOverflow. For billing questions email selfservesupport@here.com.